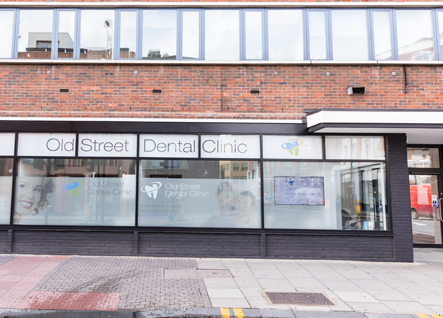 Located on Old Street the practice is only a 7-minute walk from Old Street tube station and a 7-minute walk from Barbican station. We are ideally located for local residents, city professionals and city visitors alike. In house specialist referral appointments are also available. These include our Specialists in Endodontics (Root Canal) ,Orthodontics ( straightening of teeth), Oral Surgery ( wisdom tooth extractions) and also Dental Implant placement. Please note if you cannot attend an appointment you have booked we do ask for at least 2 business days notice otherwise a charge may be made. If you are in pain or need treatment urgently because you cannot get to your regular dentist our team can assist you. Appointments can be booked on the same day. 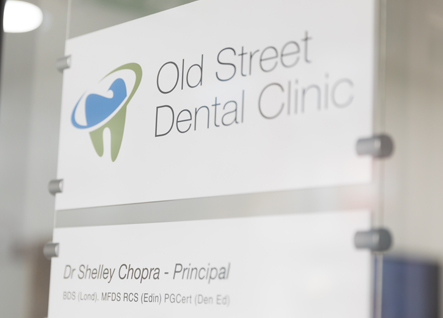 We can also arrange appointments with our hygienists. Phoning early is best to get a convenient appointment time.